The food: Almost every week, we buy a bunch of bananas … and almost every week we have at least a few that get too ripe before we eat them. Instead of wasting the overdone fruit, I use them in bread. 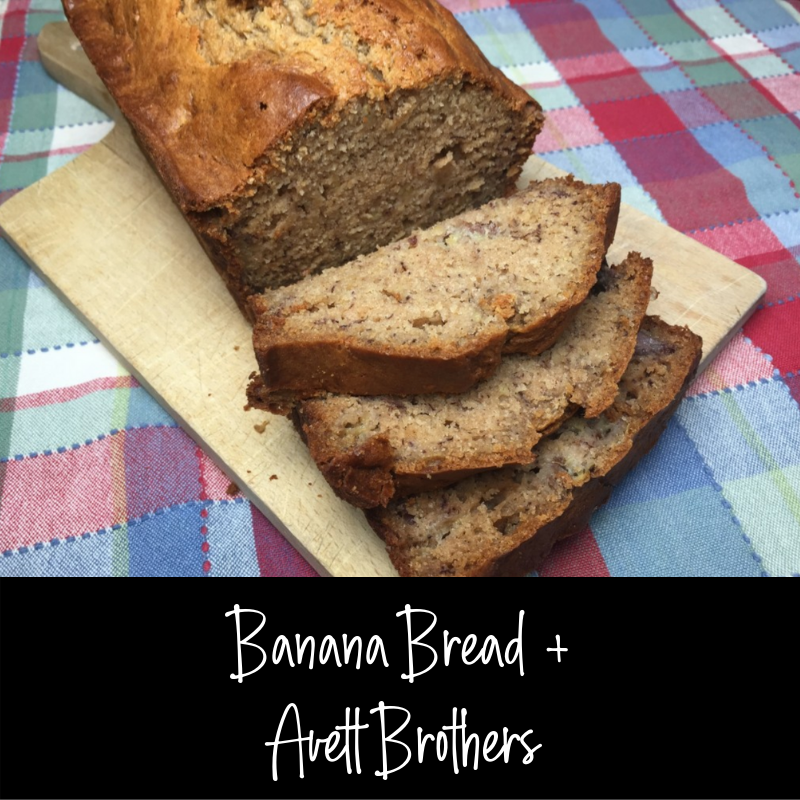 After all, other than the bananas, this recipe uses baking staples everyone typically has in the pantry (cheap!). 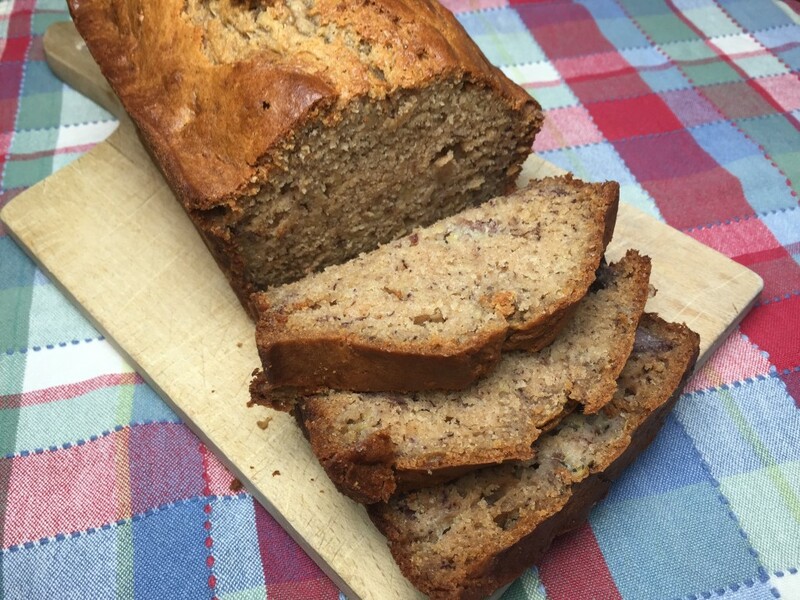 Banana bread is one of my favorite things, so I’ve tried a bunch of recipes. This is the most simplified version I could create that doesn’t sacrifice moistness or flavor. The music: What could go better with one of my favorite foods than one of my favorite bands? The Avett Brothers from North Carolina include two stupid-talented brothers as lead singers, plus a bassist and cellist. These guys blend bluegrass with rock to create a sound that is twangy, gritty, frantic, and gorgeous. 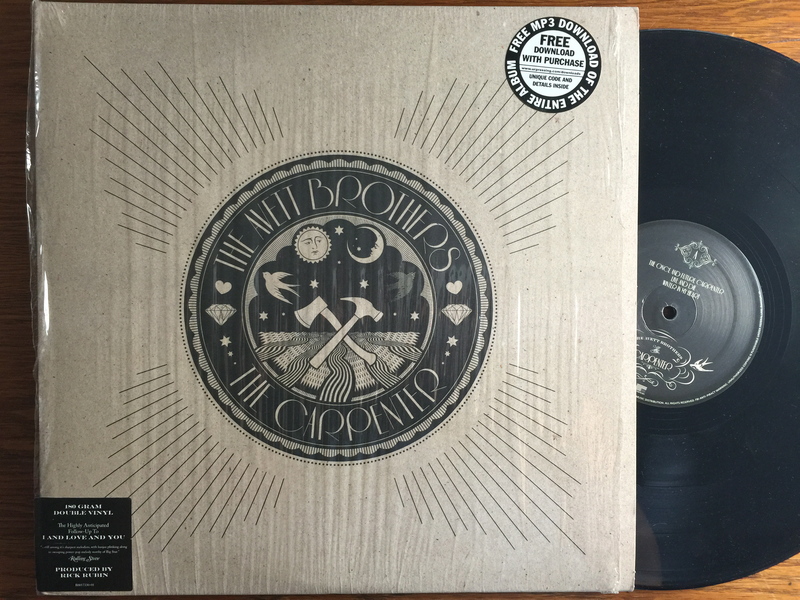 Although The Avett Brothers formed in 2000, most people didn’t discover them until famed producer Rick Rubin took the helm of their sixth album, 2009’s “I and Love and You.” They followed up that huge success with “The Carpenter” in 2012. The Avett Brothers offer something for almost everyone because they perfectly straddle so many genres, from pop and indie rock to old and new country. 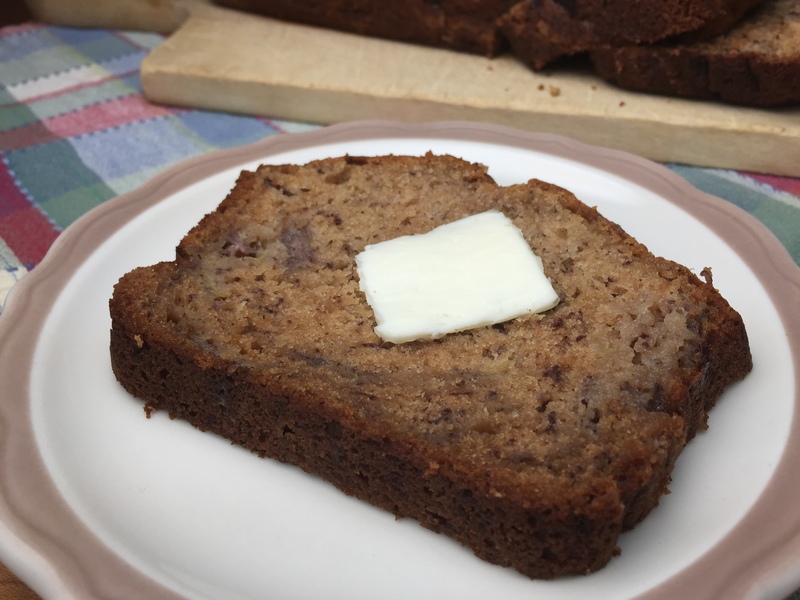 Look at the big ribbons of banana in this bread! I always under-cook my banana bread a bit because I like the center gooey. To avoid that, cook it until there is no jiggle left in the center. Want another excellent breakfast bread? Try my recipe for Butternut Squash Bread with Cream Cheese Frosting. In a large bowl, mix flour, baking soda, baking powder, salt, and cinnamon. In another large bowl, cream butter and sugars. Add eggs, vanilla, and half and half. Mix well. Combine wet and dry ingredients. Fold in bananas. Bake about 1 hour, until edges are brown and center doesn't jiggle. Thanks, Cheryl for reading and commenting. It is really easy and very moist. I hope you try and enjoy it.